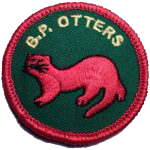 The Otters are the youngest official section of BPSA scouting, for kids ages 5-7 (Kindergarten through 2nd grade). Otters learn useful family skills, community skills, and learn to play safely together while being introduced to scouting and preparing for the Timberwolf program. The Otter Section is referred to as a “Raft” (much like the Timberwolf “Pack”) and the smaller units within the Raft are referred to as “Dens”; and both boys or girls may join (with the ideal number being 6–8 per Den). The Otter Motto is “Busy and Bright“. Hat: Red baseball-style cap with the Otter Badge centered on the front. Shirt: Red jersey tee (BPSA-US lists long sleeve, we have adapted to short-sleeve for the climate) with no collar. Shorts/Pants: Either long-style Khaki cargo pants or shorts preferred. 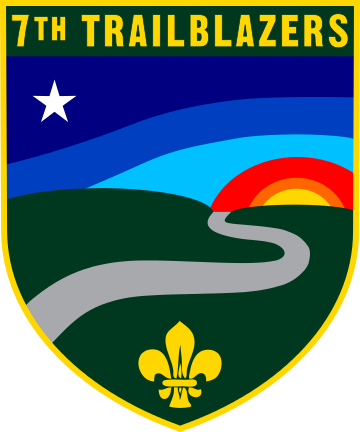 BPSA-US Field Guide for Otters – online handbook for all Otter scouts.